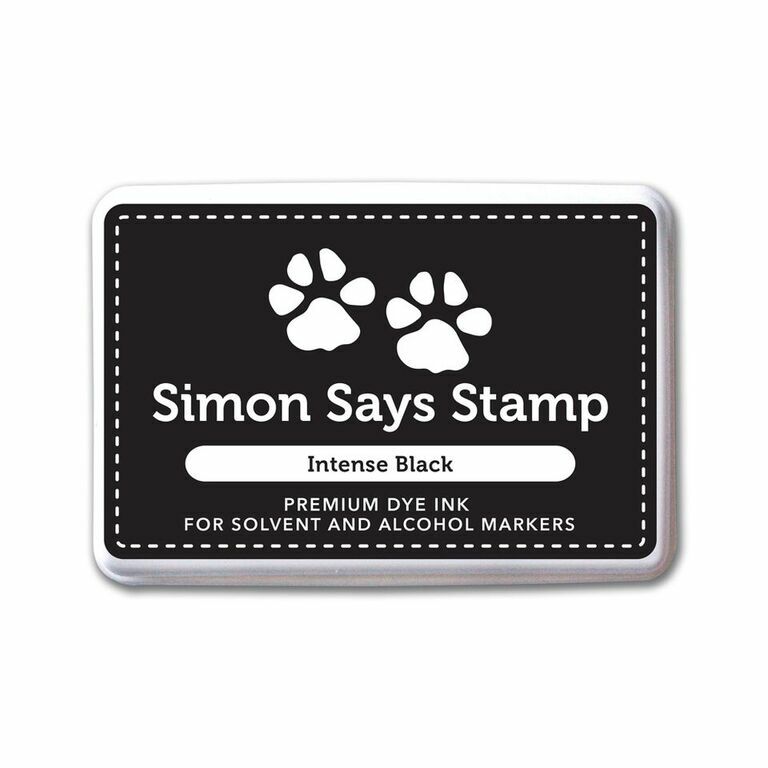 Simon Says Stamp Anything Goes! 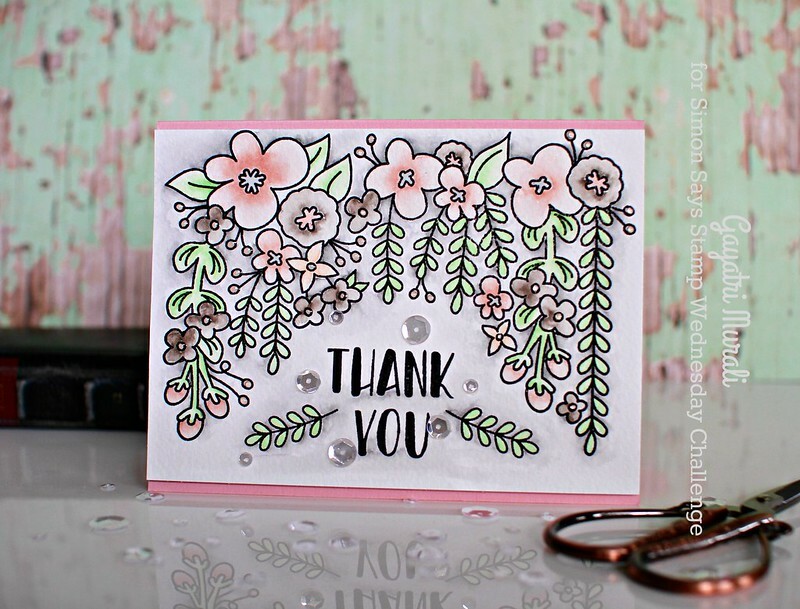 Thank you for joining us for the It’s Hip To Be Square Challenge and we hope you will all join us again this week too. I have made a watercolour card using an colour combination which is outside the box for me. I stamped the images from Avery Elle Canopy stamp set on to watercolour paper using MISTI and Simon Says Stamp Intense Black Ink. Then I coloured the images with Zig clean brush markers. The colour combination was inspired by this picture from Pinterest. I kept it soft and muted. That is unusual for me. I am brights girl but I do LOVE the muted look. I added some glossy accent to the centre of the flowers for added dimension. I also coloured the background with a warm grey. And not many card of mine escapes from my sequins collection. 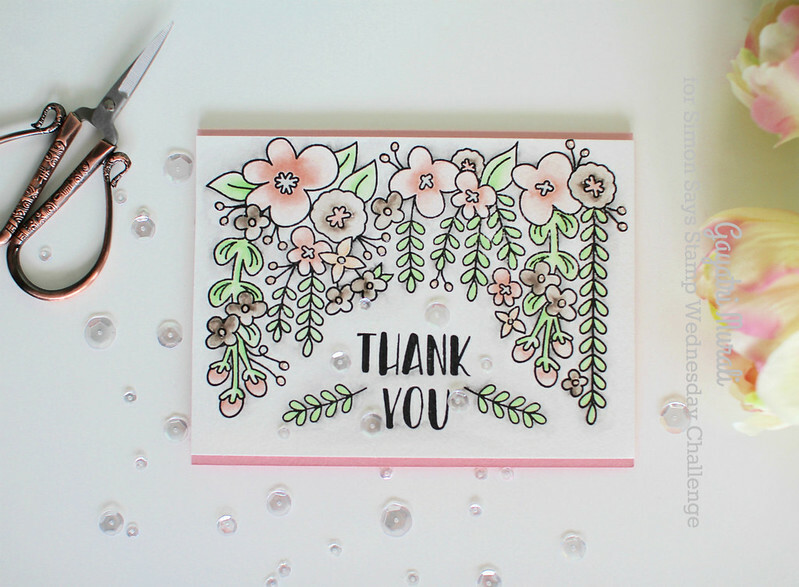 I have added Pretty Pink Posh Sparkly Clear sequins to complete the card. 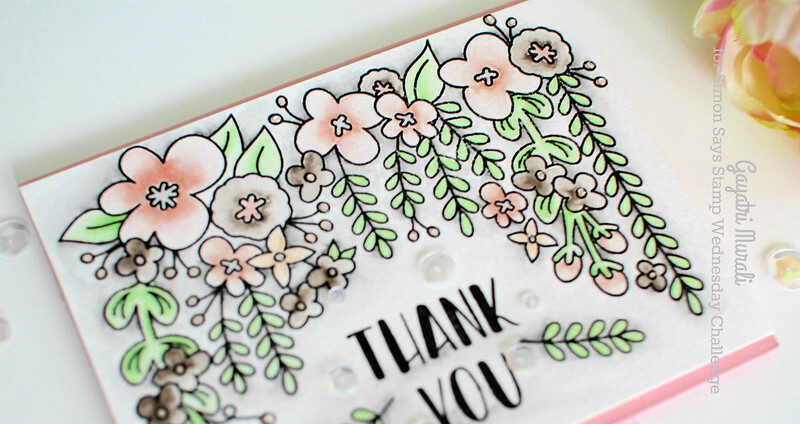 I adhered the panel on to a baby pink card base with a bit of pink peeking on top and bottom of the panel. Hope you like my card. All the products I used on my card is listed below for your convinence.